With over 150M monthly users, Pinterest is one of the most popular social networks around. More importantly from a store owner’s perspective, Pinterest users are among the most commercially inclined — 87% of users say that they discovered a product on Pinterest only to buy it later. 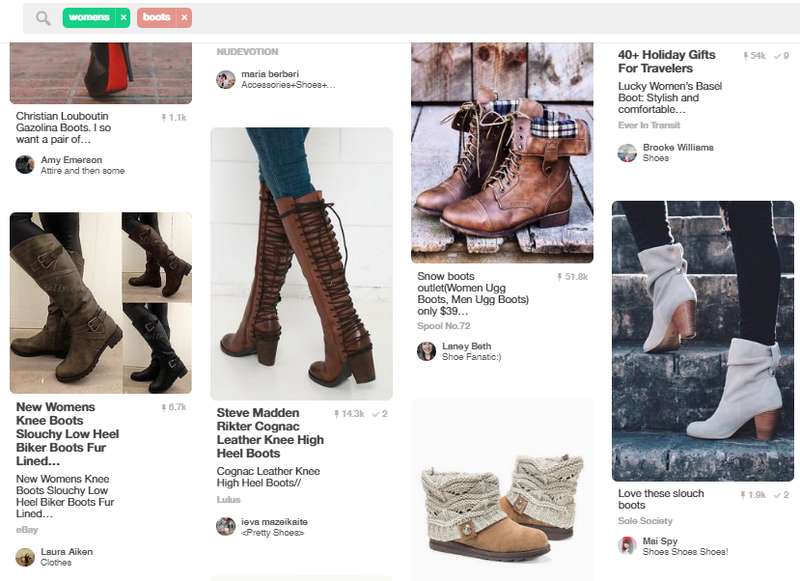 This mix of traffic volume and customer intent makes Pinterest a great tool for marketing your store. But there is another way you can use Pinterest: to understand your customers, analyze your competitors and brainstorm new product and content ideas. Pinterest’s vast trove of product data makes it one of the most powerful, yet untapped sources of niche research. As we’ll show you below, you can use this data to gain deep insight into your customers that goes far beyond any keyword research tool. Why Use Pinterest for Niche Research? Think about the last time you used a keyword research tool to understand your niche. 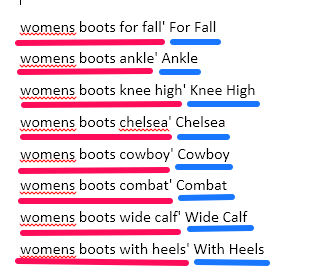 You likely plugged in some seed keywords (such as women’s boots), hit Search and got a bunch of related keywords in return. While this list of keywords might be good for SEO, it doesn’t give you any real insight into your niche. You can’t tell, for instance, how thigh high boots and over the knee boots are different, what materials they’re usually made from, or how your customers actually use them. This lack of contextual data makes conventional research tools woefully inadequate for understanding your customers. Contrast this with Pinterest. 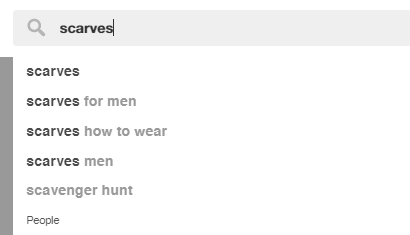 If you search for women’s boots, you see actual pictures, not just a list of keywords. From a single glance, you can tell the difference between different boot lengths, popular boot colors, common construction material, and how customers actually wear them. If you’re a retailer, this is real-world insight you can use to brainstorm new product ideas, fine-tune your product descriptions and learn what your competitors are selling. All this makes Pinterest one of the most powerful tools at your disposal for niche research. Pinterest will give you a lot of data (and thousands of pins) for any keyword. How do you make sense of this data and use it to draw real-world insight? Below, we’ll show you 5 actionable ways you can use Pinterest for niche research. One of the easiest — and most useful — ways to use Pinterest is to figure out what’s currently popular in your niche. This works particularly well for trend-influenced product categories such as fashion. Pinterest will tell you exactly what color, style or design-type has been trending recently. 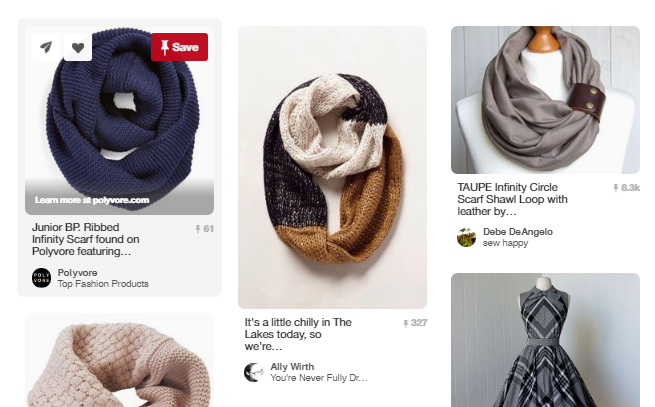 Finding these products is easy — just enter a broad keyword related to your product in the search bar, say scarves. 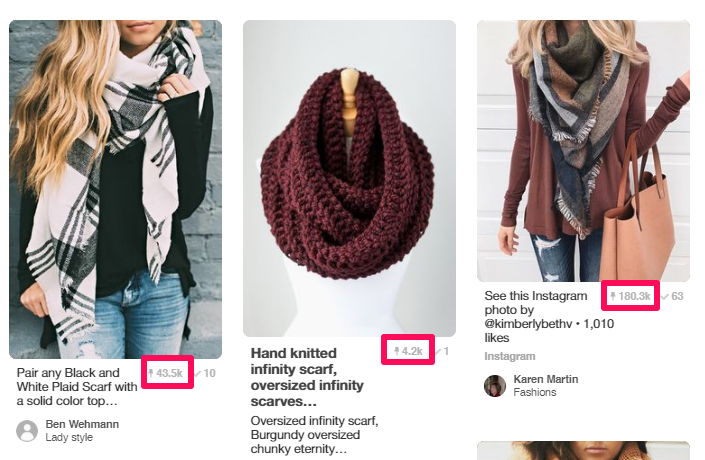 Pinterest automatically sorts the results by most pinned. This shows you what people are actually pinning. You can refine the results further by clicking one of the Guided Search buttons at the top. This will add the keyword in question to the search. In the above example, clicking on Silk changes the search to scarves + silk. There is another way to discover trending products — by going to the Discover section. This is the compass icon next to your account icon in the top right corner. The Discover section features trending hand-picked collections from across Pinterest. You might not always find products from your niche, but when you do, it can be a great source of consumer insight. 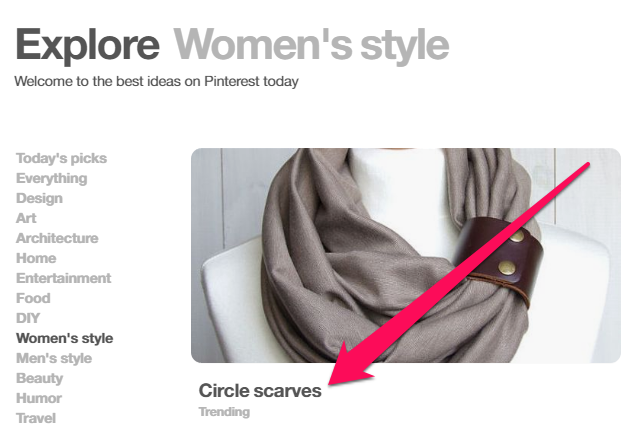 For example, the Discover section shows us that Circle Scarves are trending in Women’s Style. 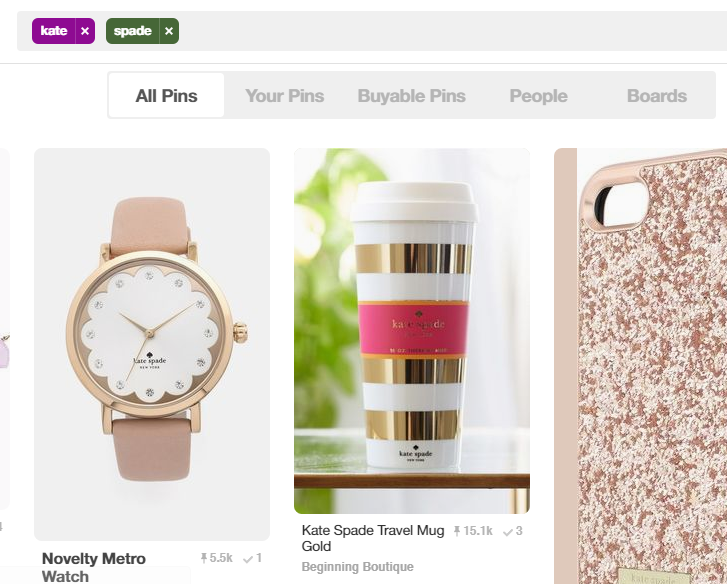 Clicking the product category will show you trending pins featuring the product-type. Understand that Pinterest users usually pin the idealized image of a product and how it is used. You won’t find a pin of a person simply wearing a pair of boots; it will usually be a high-quality shot of the boots paired with a matching pair of jeans and other accessories. How customers pair your product with other products (say, what kind of jeans go well with your shoes). What kind of environment your customers like to use your products in (which can be useful for creating marketing imagery). What product image angles, colors, etc. customers want to see (which can help when creating product pages). How actual people describe your products (useful for crafting product descriptions). All this insight can help you develop a stronger brand. 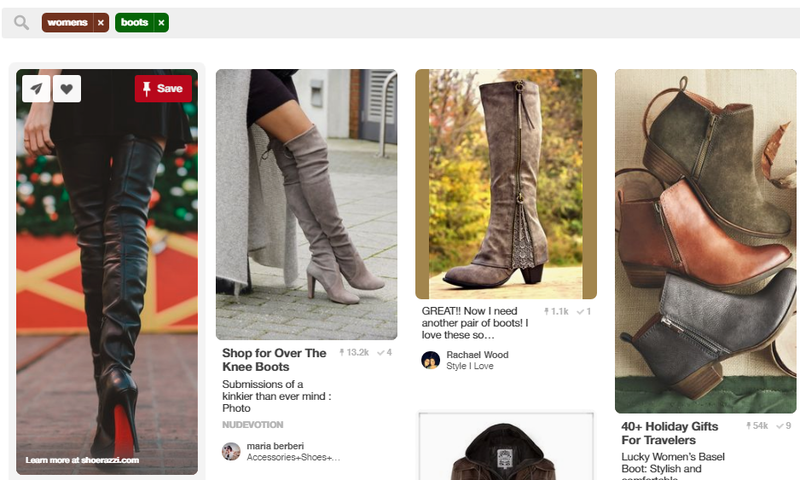 If Pinterest shows you that pins featuring a pair of boots at a specific angle are popular, you can get more product images from that angle. If most popular pins show boots being worn with blue jeans, you can emphasize that in your marketing imagery. You might not be able to quantify this insight, but it is invaluable for product research, branding and marketing development. Pinterest is incredibly useful for finding popular products similar to yours. You can use this to come up with new product ideas or figure out which products to stock. Instead of looking up individual pins, you can also search for boards matching your product keyword(s). To do this, look up your keyword as you normally would, but instead of All Pins, click on Boards in the top menu. This will show you a bunch of boards that match your keywords. Boards are human-curated and usually revolve around a single product-type. This makes them ideal for finding related products for any product-category. Promoted pins — Pinterest’s ad offering — has a section where it suggested keywords and ideas related to your current promotion. You can use this data to find related products. To use this feature, you’ll need a Pinterest business account. Follow the instructions here to set it up. 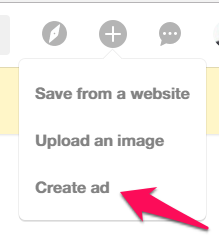 Once you have the account set up, click the + icon next to your profile and click Create Ad to go to the ad manager. Choose Engagement from the ad type. Enter a campaign name and any budget (we won’t actually have to run the ads). Next, click Add more details. On the next screen, scroll down to Keywords and enter your target keyword. You should now see a bunch of related keywords. Do this for different variations of your product keyword to come up with even more related product ideas. Keeping track of your competitors’ products and marketing has obvious benefits — you can know what’s working for them (and what’s not) and fine-tune your offerings accordingly. Start by doing a keyword search for your competitor. You can fine-tune the results further by looking searching only Buyable Pins from the top menu. 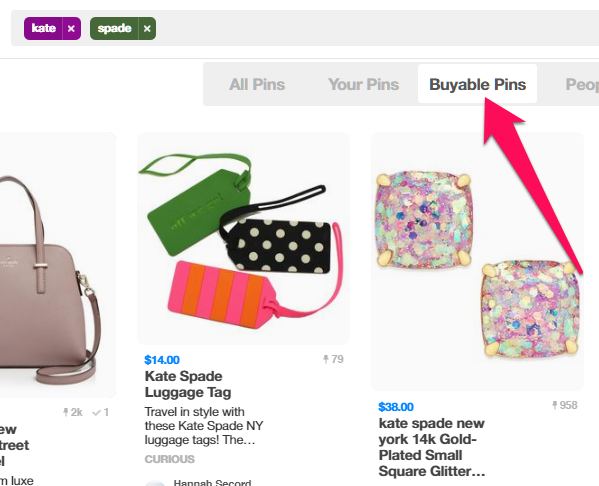 Buyable Pins are special pins which users can directly purchase from inside Pinterest. These pins are typically uploaded by retailers instead of normal users. This means that you’ll get a smaller product selection, but all images and products will be a) available to buy, and b) from a specific brand. This makes Buyable Pins a great way to research a competitor quickly. Pinterest can also help you brainstorm content ideas for your blog or discover new products to add to your store. We’ll use Guided Search to find these ideas. 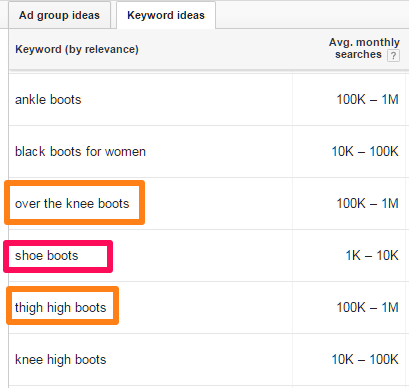 Start by searching for a base keyword related to your product — say, women’s boots. You’ll see a list of search suggestions at the top of the page. 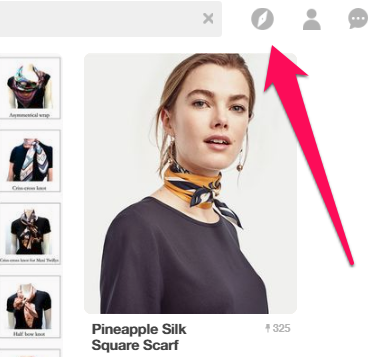 This is Pinterest’s Guided Search. We’re going to collect all the suggestions from this list and use them as keywords for a content campaign. To do this, click and drag from the top left corner of the screen to the bottom right to select all Guided Search suggestions. Hit CTRL + C to copy these to your clipboard. Now open Word and paste this list into a new document. You’ll notice that every term has a keyword and a category. Our job is to extract the keyword and category from each term. To do this, start by hitting CTRL+H to open the Find/Replace tool. Enter Search for  into the Find box and ^p into the Replace field. Hit Replace All. This will show you a list of keywords followed by the category. You can use these keywords to brainstorm new content ideas or even to organize your existing products into more semantically relevant categories. As you use Pinterest more, you’ll discover that this little social network can do a lot more than just help you promote your products. Thanks to its millions of members, Pinterest has become a rich source of data about shoppers, their favorite products, and how they use them. Use this data to figure out what to sell, to brainstorm new ideas and to fine-tune your marketing. 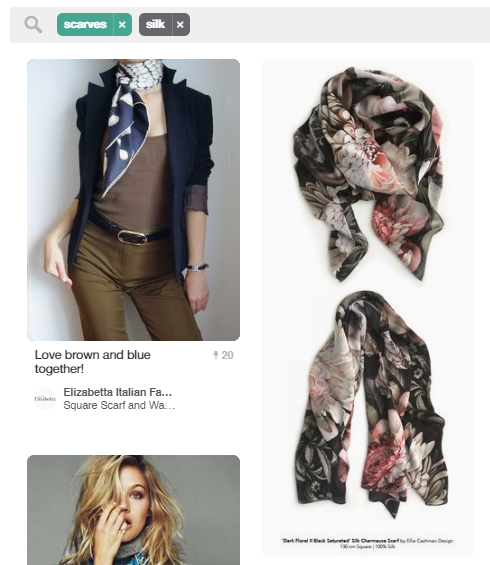 How do you use Pinterest for your store? Let us know in the comments below. 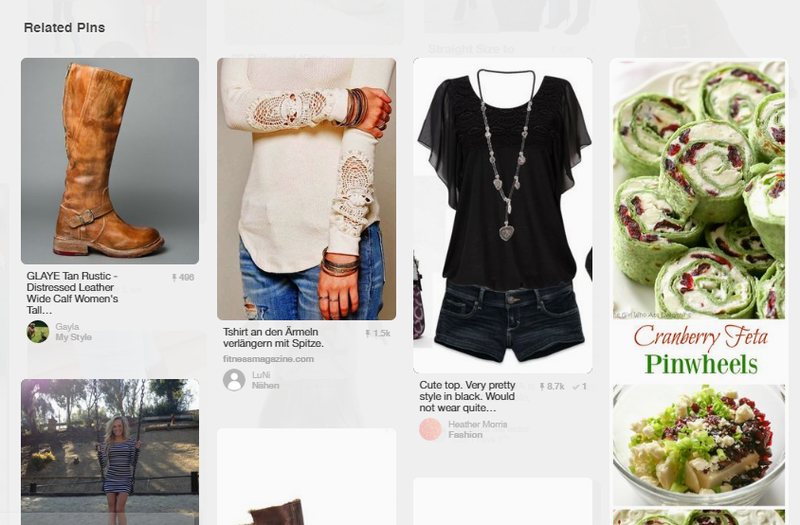 And follow Ecwid on Pinterest!